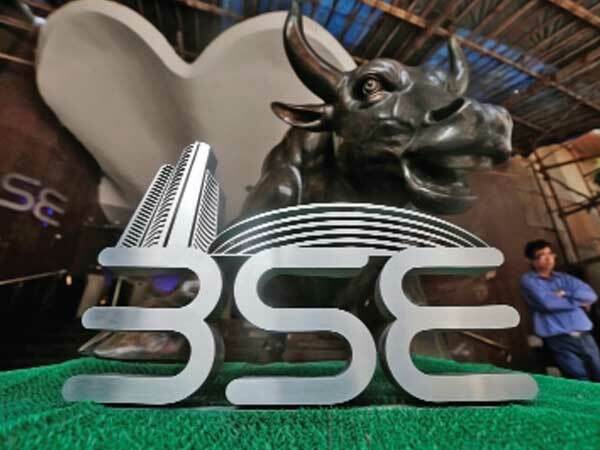 The market surged on Thursday ahead of the interim budget, as heavy short-covering on expiry of the January series futures and options (F&O) contracts buoyed the benchmark Sensex to close above the psychological 36,000-mark with a 665-point gain. The Nifty went up nearly 180 points to close above the 10,800-mark to conclude the January series contracts with the gains of almost half a per cent. The sudden bull charge in the market on the back of dovish US Fed stance caught the bears by surprise, leading to a sharp short-covering bounce. This apart, expectations that the interim Budget would have measures that would alleviate the agrarian distress and boost employment and consumption also aided the market sentiments. Buying in index heavyweights helped the Sensex close at 36,256, while the broader Nifty settled at 10,830.95, up 179.15 points, or 1.68 per cent, from the previous close, as investors piled into recently beaten down banking, auto, IT and FMCG stocks. The US Federal Reserve’s decision to put interest-rate increases on hold raised investor optimism that capital flows to emerging-market will resume. Stocks across Asia surged after the Fed’s dovish statement helped ease concern that policy makers would continue with plans to raise interest rates even in the face of data suggesting the world’s largest economy is cooling. “The status quo, in the midst of looming fears over an impending economic slowdown, and also as the probability of future hikes may be far and few, catapulted the markets to higher levels,” said Joseph Thomas, head-research, Emkay Wealth Management. Investors focus is now on the interim budget on Friday, which will be the last one presented by the current NDA government led by Prime Minister Modi, before the 2019 general elections in April-May. “As we have an important event of Interim budget 2019 lined up, traders lightened up their existing positions. This, in turn, resulted a short covering rally of 1.68 per cent on the expiry day. Rollover in Nifty during the day was hardly 58 per cent, which is certainly very low to its three-averages. For the coming series, 11,000 call and 10,700 put option is attracting traders attentions. Looking at the current scenario, we would advise traders to avoid any kind of direction trade in the index until it remains in the range of 10,700-11,000 and rather pick quality stocks that are recovering from the important support zones,” said Sneha Seth, derivatives analyst, Angel Broking. A historical analysis of market movements in the run-up to the budgets and after does not show any definite trend. Between 2001 and 2007, there were eight annual budgets, including a vote on account in February 2004. Out of the eight budget days, the Sensex fell on four occasions and rose on four. However, in seven trading days in the run-up to the budget, in five out of eight occasions, the Sensex ended in negative territory. “As the Government Present the Interim budget 2019, ahead of the Lok Sabha polls. The general public is waiting with great expectation of extending the tax slab to rs 5 lakh from the current rs 2.5 lakh. We strongly believe that this budget is a populist budget and can drag markets down. The market may react to the fiscal measures taken by government in this budget. If the measures are not in line with the market’s expectation then definitely we will see a deeper correction ahead,” said Debadrata Bhattacharjee, head of research, CapitalAim. “If the news on LTCG and STT (long-term capital gains tax and securities transaction tax) changes is confirmed by the finance ministry on the budget day, then we would say that this will help the market to form liquidity as foreign Institutions will invest more. In previous budgets when LTCG and STT were increased by government, that created lack of liquidity in the market as FIIs started putting their money in rival emerging markets,” he further said.